Diamer Bhasha Dam Location is Indus River about 315 KM upstream of Tarbela Dam. It is about 165 KM downstream of the northern area capital gilgit. It is about 40 KM downstream of Chillas. The dam is important to save water resources in Pakistan. 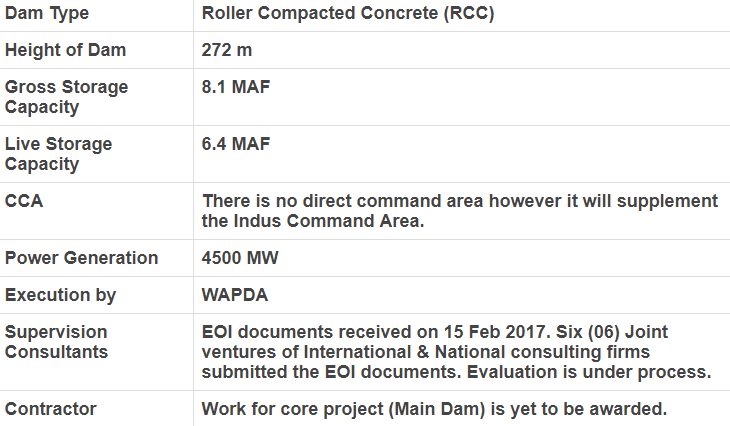 Roller compacted concrete RCC is going to be use is the dam construction. Live Storage capacity is 6.4 MAF. Gross storage capacity is 8.1 MAF is going to share with respect to the 4500 MW. The direct command area important with respect to the supplement Indus command area. The 272 m is the height of dam. The direct command area mechanically viable with the optimum 4500MW capacity. Diamer Bhasha Dam Location is ideal and WAPDA endorsed its location. The funds for acquisition of land even resettlement are going to monitor by the core project.